Grammar can be such a garbage-load of gobbledygook for those who grapple to grasp the many gibberish-like rules of grammar! However, unless you master its mechanics, you'll remain a slave to all the Grammar-Nazis in school and in the world! Unit 1: Does Grammar Matter? It can be hard sometimes to remember all of the grammatical rules that guide us when we’re writing. Dive into the age-old argument between linguistic prescriptivists & descriptivists — who have two very different opinions on the matter. Unit 3: What's the Comma Story? It isn't easy holding complex sentences together (just ask a conjunction or a subordinate), but the clever little comma can help lighten the load. But how to tell when help is really needed? Terisa Folaron offers some tricks of the comma trade. Modifiers are words, phrases, and clauses that add information about other parts of a sentence—which is usually helpful. But when modifiers aren’t linked clearly enough to the words they’re actually referring to, they can create unintentional ambiguity. Emma Bryce navigates the sticky world of misplaced, dangling and squinting modifiers. 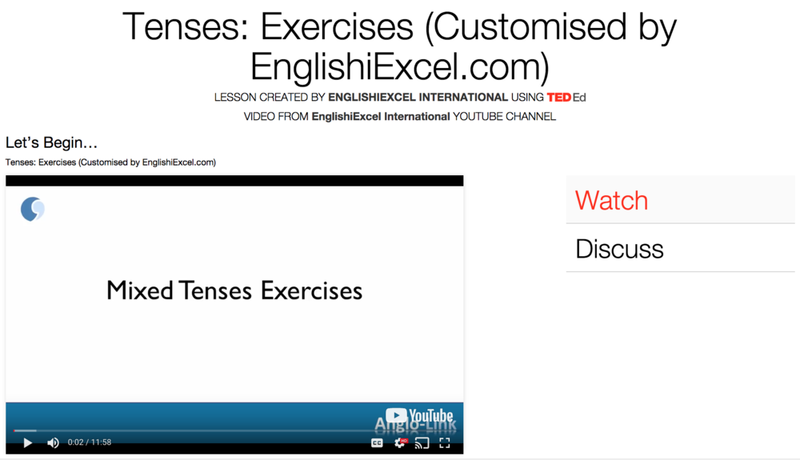 Gear-Up & Get to iLesson to Test What You've Learnt about Tenses!